CHICAGO (WLS) -- CTA Blue Line service has resumed after a person fell on the tracks at the Illinois Medical District station Wednesday afternoon, officials said. Trains were halted between LaSalle and Kedzie. The person fell at 1:16 p.m. Authorities said the person did not come in contact with the third rail or a train. Blue Line trains are standing at Illinois Medical District due to an unauthorized person on the tracks; crews working to restore service. 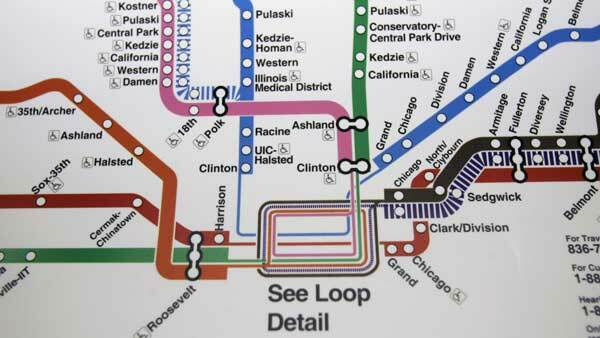 Some O'Hare-bound Blue Line trains are operating with residual delays after an earlier sick customer at Racine.